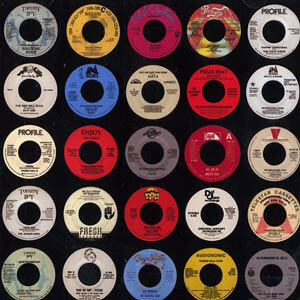 36 old school hip hop 45s mixed by PBW. It is split into 8 tracks on the CD. No tracklisting but its all old school joints from the likes of BDP, MC Lyte, Big Daddy Kane, The Cold Crew, Ultramagnetic MCs, Afrika Bambaataa, Egyptian Lover, Eazy E, Biz Markie, Eric B & Rakim. comment "Peanut Butter Wolf – Yo! 45 Raps Vol. 1 (CD) (2006) (FLAC + 320 kbps)"